The ’16 Days’ project was part of the worldwide campaign ‘16 Days of Activism Against Gender Violence‘. 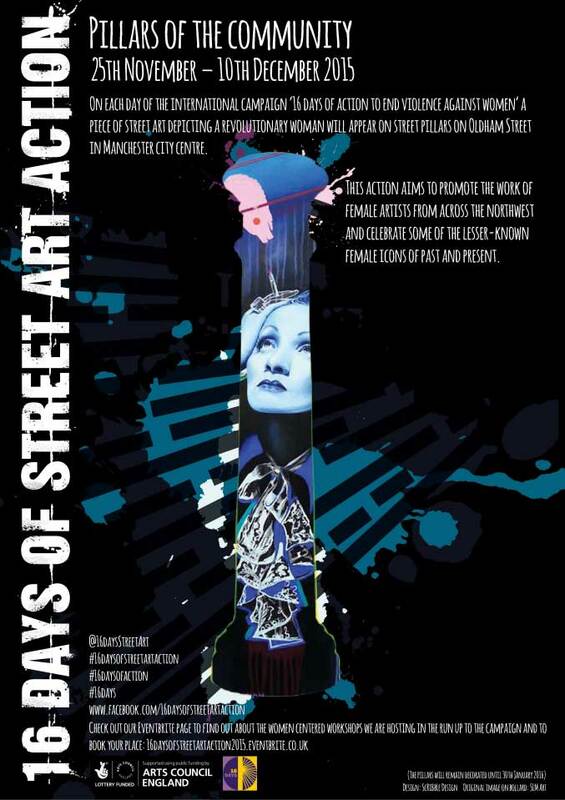 I was commissioned by ‘16 Days of Street Art Action‘ to publicise the daily creation of art work on bollards in Manchester’s Northern Quarter. Each day a new artist painted a female icon… no matter what the weather! The flyers and posters also publicised the creative workshops that were being ran alongside the project.